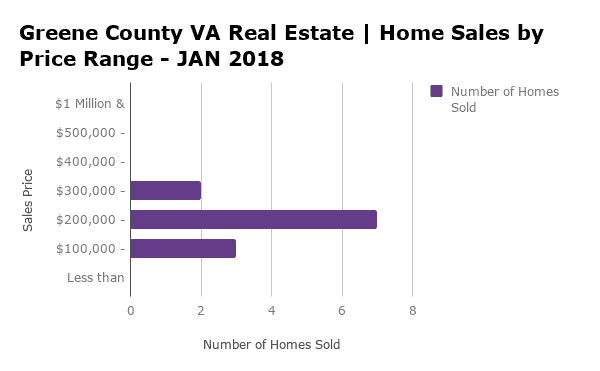 Greene County VA real estateÂ sales decreased in January 2018.Â A total of 12 homes sold in January compared to 22 homes in December. 83.3% of Greene County home sales in January occurred in the below $300,000 price range. 1 short sale sold this month.Â Distressed property sales made up 8.3% of the Greene County VA real estateÂ market in January. TheÂ Greene County real estateÂ market is a balanced market.